"Well either he's mad," said Digory, "or there's some other mystery. He has a study on the top floor and Aunt Letty says I must never go up there. Well, that looks fishy to begin with. And then there's another thing. Whenever he tries to say anything to me at meal times - he never even tries to talk to her - she always shuts him up. She says, "Don't worry the boy, Andrew" or "I'm sure Digory doesn't want to hear about that" or else "Now, Digory, wouldn't you like to go out and play in the garden?" "I don't know. He never gets far enough. But there's more than that. One night - it was last night in fact - as I was going past the foot of the attic-stairs on my way to bed (and I don't much care for going past them either) I'm sure I heard a yell." "Perhaps he keeps a mad wife shut up there." "Yes, I've thought of that." "Or perhaps he's a coiner." "Or he might have been a pirate, like the man at the beginning of Treasure Island, and be always hiding from his old shipmates." "How exciting!" said Polly, "I never knew your house was so interesting." . "You may think it interesting," said Digory. "But you wouldn't like it if you had to sleep there. How would you like to lie awake listening for Uncle Andrew's step to come creeping along the passage to your room? And he has such awful eyes." That was how Polly and Digory got to know one another: and as it was just the beginning of the summer holidays and neither of them was going to the sea that year, they met nearly every day. Their adventures began chiefly because it was one of the wettest and coldest summers there had been for years. That drove them to do indoor things: you might say, indoor exploration. It is wonderful how much exploring you can do with a stump of candle in a big house, or in a row of houses. Polly had discovered long ago that if you opened a certain little door in the box-room attic of her house you would find the cistern and a dark place behind it which you could get into by a little careful climbing. The dark place was like a long tunnel with brick wall on one side and sloping roof on the other. In the roof there were little chunks of light between the slates. There was no floor in this tunnel: you had to step from rafter to rafter, and between them there was only plaster. If you stepped on this you would find yourself falling through the ceiling of the room below. Polly had used the bit of the tunnel just beside the cistern as a smugglers' cave. She had brought up bits of old packing cases and the seats of broken kitchen chairs, and things of that sort, and spread them across from rafter to rafter so as to make a bit of floor. Here she kept a cash-box containing various treasures, and a story she was writing and usually a few apples. She had often drunk a quiet bottle of ginger-beer in there: the old bottles made it look more like a smugglers' cave. Digory quite liked the cave (she wouldn't let him see the story) but he was more interested in exploring. "Look here," he said. "How long does this tunnel go on for? I mean, does it stop where your house ends?" "No," said Polly. "The walls don't go out to the roof. It goes on. I don't know how far." "Then we could get the length of the whole row of houses." "So we could," said Polly, "And oh, I say!" "We could get into the other houses." "Yes, and get taken up for burglars! No thanks." "Why, it's the empty one. Daddy says it's always been empty since we came here." "I suppose we ought to have a look at it then," said Digory. He was a good deal more excited than you'd have thought from the way he spoke. For of course he was thinking, just as you would have been, of all the reasons why the house might have been empty so long. So was Polly. Neither of them said the word "haunted". And both felt that once the thing had been suggested, it would be feeble not to do it. "Shall we go and try it now?" said Digory. "Don't if you'd rather not," said Digory. "I'm game if you are," said she. coiner, no idea at all. box-room attic, I know what is attic, but box-room I have no idea. cistern, dictionary said it is a big water tank, do these people keep a water tank in their house? Where is the dark place it is talking about? How come there is a tunnel in a house? Where is it? I am not native English, and I live building with 35 floors, so I cannot imagine what does the above tunnel/house/attic look like, would you give me a guide on this? I don't understand where are they and where are the tunnel. If the tunnel are in the roof, why can it connect to other houses? And the later sentence in bold, "For of course...." is a new grammar expression I've never seen. What is the function of "For" and "of course" in here? What does it trying to express? "coiner" - one who counterfeits coins. Not something we hear of much today, but in earlier times was a reasonably familiar sort of criminal. "box-room" - a room in a house (usually a small room) which is just used for storing things, usually things that are not wanted very often. The collocation "box-room attic" is unusual, because these two words mean nearly the same thing. (Not quite, because a box-room could be anywhere in a house, not just under the roof). "cistern": yes, it is still quite common for British houses to have a water-tank in the roof space - sometimes two (hot and cold). This was partly to provide a head of pressure for taps and showers, and partly to guard against interruptions in supply (and in the case of hot tanks, to provide a reservoir of heated water for when you needed it quickly, as in a bath). There is not a literal tunnel, it is saying that between the tank and the sloping roof there is a long and narrow dark place (dark because it is behind the cistern). "of course" is a parenthetical remark meaning "as you already know", or "as is obvious". It is much more common in speech than in writing, but of course this writing is meant to suggest somebody is speaking, and telling a story. "For" says that the sentence is a reason or explanation of what precedes. So the meaning of "For of course he was thinking .. " is something like "(He was excited) because, as you probably realise, he was thinking ... "
The Earth portions of the Narnia books are set in England around WWII. This particular setting is a line of houses that are probably 2, maybe 3 floors, built touching each other, but with no interior doors connecting them. 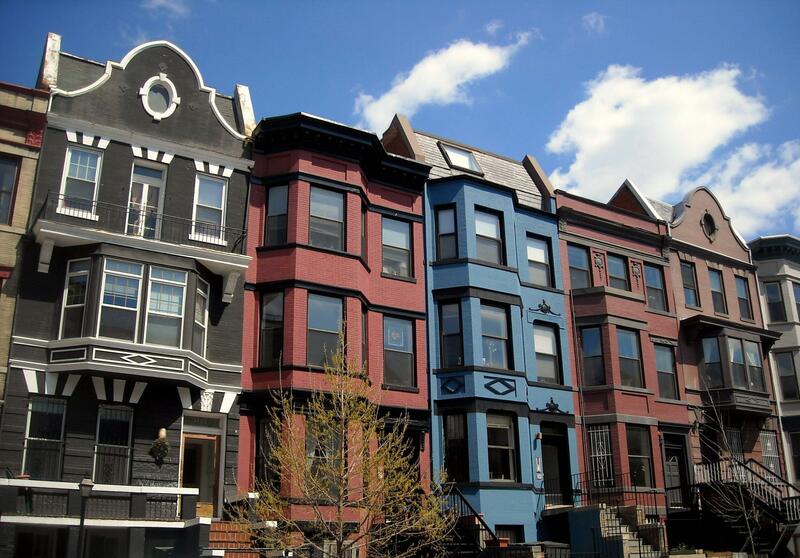 In the U.S., these can be called town houses or row houses. box-room attic - a storage room especially for trunks, suitcases, etc. dark place - place without much light. No, that is not common. That is why they are so curious about it. The length of the tunnel makes it even more interesting because it doesn't connect to the adjacent house, but one farther down. For of course he was thinking... - This is a combination of "For he was thinking..." which explains the thoughts behind his actions and "Of course he was thinking..." which encourages you to agree that his thoughts were perfectly reasonable. A coiner is probably what would be called a counterfeiter today: someone who makes fake coins and attempts to pass them off as real. I believe that a cistern is what I would call a water heater or a boiler: a tank that holds water which is heated for the purpose of providing hot water to the house, or for heating the house via pipes. A box-room attic is simply an attic that is used to store boxes, I believe. An **attic* is the space underneath the angled roof of a house, which is not usually suitable for habitation, but which can be used for storing little-needed items. Not the answer you're looking for? Browse other questions tagged grammar meaning-in-context or ask your own question. What is the meaning of “drains” in here?